Tyler here! On Halloween, Distant Correspondent finally gets a night off. After raging into the dawn with Columbia’s finest, The Unawares, this is just what the doctor ordered. It helps that where we’re staying in Virginia is positively palatial. Well-rested and in a good mood, we head out the next morning to what feels like the biggest gig of the tour — Brooklyn, NY’s Union Pool. The drive is going great until we hit some terrible traffic on the dreaded NJ Turnpike. David passes the time by trying to be as irritating as he possibly can to me. Whatever. In no time we’re in view of the mighty NYC skyline on a beautiful autumn afternoon, with Endless Boogie’s Long Island blazing on the stereo. Arriving at Union Pool, we’re greeted warmly by the staff. It’s a great venue — a nice beer selection, a lovely outdoor patio (with a taco truck!) and a very cool room for the music. After soundcheck, we all head our separate ways to meet friends. By the time I get back, the place is packed and our new touring companions Dinowalrus are rocking the joint. I miss most of their set, but I make a mental note to catch them in full the next night in Philadelphia. In a flash, Distant Correspondent is on stage. It sounds tight, at least from where I’m standing. Molly McIntyre — who created the awesome “Shatter video for us — pops up for a guest vocal on “Forward.” Overall, it’s a strong set in front of an appreciative crowd. Brooklyn, you are beautiful. 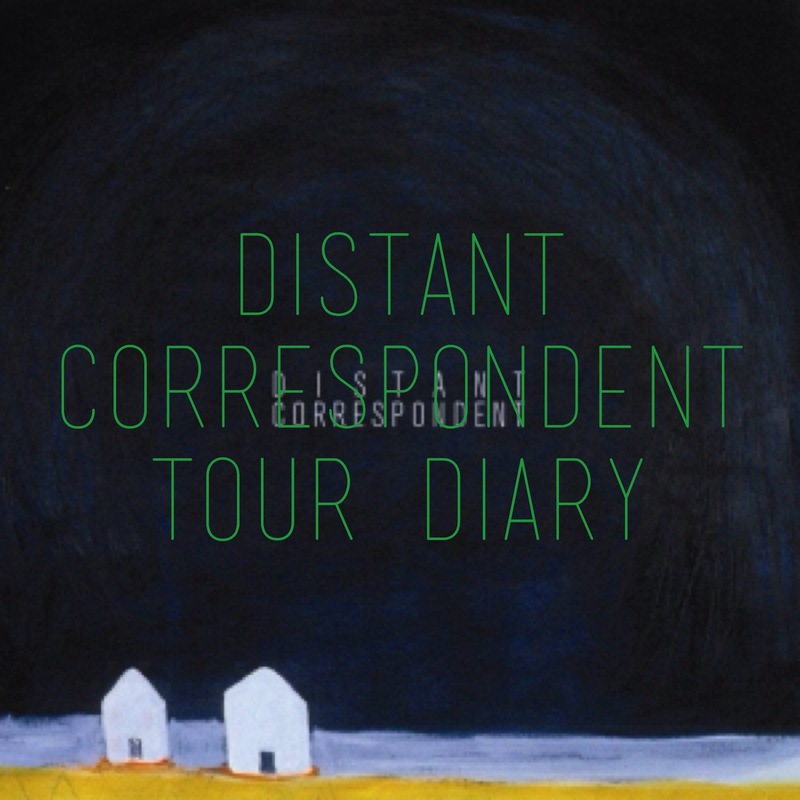 Distant Correspondent have a q and also a.